The Trump administration’s new infrastructure plan aims to ease regulatory checks on US waterways. The administration says this will help fast-track more building projects and reduce permit delays. But some water experts are worried that it could put some of the country’s most fragile drinking water systems at risk, and put the expensive burden of water cleanup onto cities. A new plan to speed up the way the US government does business related to federal waters may leave some cities footing a bigger bill for clean drinking water. In the plan the Trump administration outlines proposals for how to reduce the number of federal agencies that need to sign off on permits for dumping “dredged or fill material” into the nation’s waterways. Such sites include fisheries, wetlands, and tap-water supplies. If the plan gets the green light, it will undo the Environmental Protection Agency’s authority to veto building permits that affect US waterways, and cut back on environmental reviews. But that deregulation could quite literally dump a huge additional burden of waste onto municipal water systems around the US. Water experts are worried that the change could make it easier for local water sources to get contaminated with runoff or pollution from new highways, dams, and pipelines. And some areas of the country are already ill-prepared to deliver clean drinking water, new research suggests. According to a study of more than three decades of the nation’s tap-water records, also released Monday, some of the country’s smaller water utilities are already struggling with the chore of keeping tap water clean. Roughly 16 million Americans are exposed to stomach bugs from drinking water coming out of their faucets each year. Some also get exposed to cancer and neurological disorders, the study authors wrote in the Proceedings of the National Academy of Sciences. That’s especially true in rural pockets of the country, notably some spots in Texas, Idaho, and Oklahoma, where EPA drinking-water standards have been violated year after year. “Generally, the country’s utilities deliver high-quality water, but every year, about 7% to 8% of community systems do not meet health-related standards,” Maura Allaire, one of the study’s authors, said in a release. Allaire isn’t the only one sounding the alarm. The American Society of Civil Engineers gave the country’s tap-water systems a D grade on its 2017 report card. Virginia Tech civil engineering professor Marc Edwards, who was one of the first to identify the problems with high levels of lead in the water in Flint, Michigan, said there was cause for concern. He told Business Insider earlier this year that a lot of water around the country lacks cleaning agents that cities should be putting in their water routinely to help keep residents’ stomachs parasite-free. This “lack of disinfectant residuals,” according to Edwards, includes traces of chlorine and chloramine that should show up in tests. Most large cities with decent cash flow and technical expertise do a decent job testing and verifying the safety of their water supplies. But not everyone is keeping pace, he said. “Our sampling indicates problems meeting existing regulations with lead, disinfectant residuals, disinfection by-products and microbial contaminants, as well as emerging pathogens such as Legionella,” Edwards said in January. Still, tap water is held to much stricter standards than bottled water, and most big cities are constantly monitoring their water supplies and sticking to standards that keep residents in good health. But there’s a chance that less federal regulation and oversight could lead to more contamination, especially if the EPA (the agency tasked with regulating clean drinking water) is no longer involved in deciding who gets approval to dump, build, or dredge in federal waters that feed municipal taps. In that case, communities would have to deal with dirtier water coming into their treatment plants. And the trouble that some spots around the country are having when it comes to delivering contaminate-free water could get worse. But there is some hope in the new research. The study authors suggest that some rural communities struggling to pay their bills or sufficiently clean water might do better if they consolidate their systems. That’s what Flint did; after its lead crisis, the city switched back to partnering with Detroit Water for its supply. 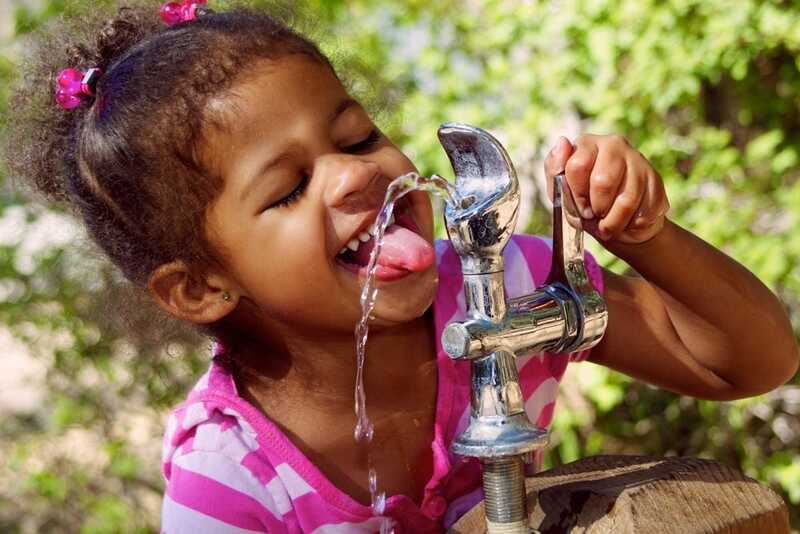 If you’re worried about whether your own drinking water is up to par, there’s an annual drinking-water report from the EPA you can check online as well as an independent tap-water database available from the Environmental Working Group. You can also use an NSF/ANSI-approved filter at home.